Home / Blog / What is the Wicklow Way? 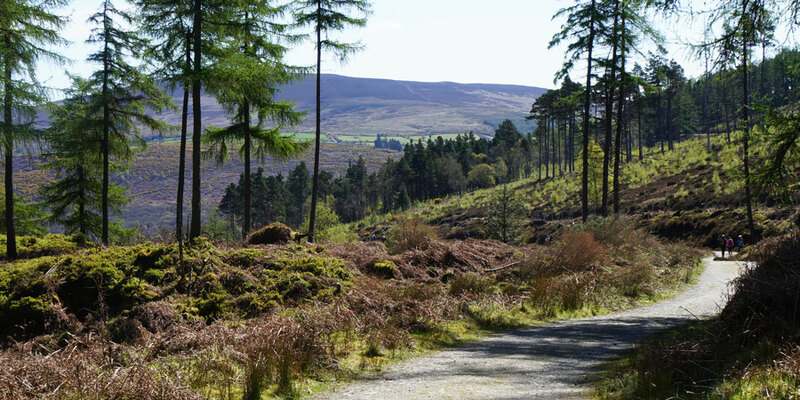 What is the Wicklow Way? 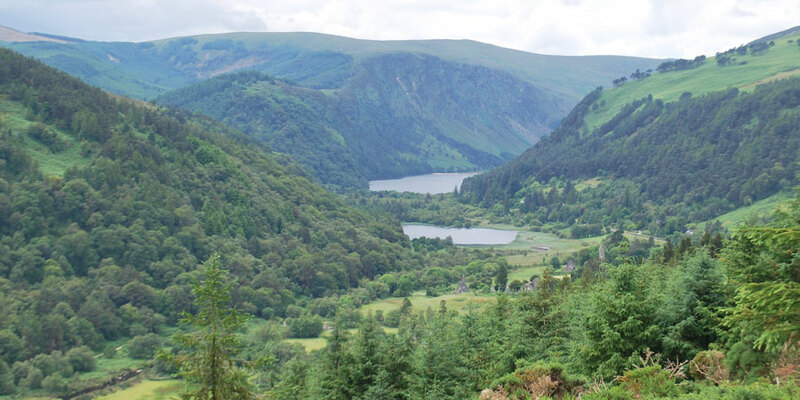 The Wicklow Way is one of the most scenic, popular and oldest way-marked walking routes in Ireland. The way covers 127km from Clonegal, Co. Carlow to Marlay Park in Dublin. It was formally established in 1980 after years of hard work by volunteers, most notably J.B. Malone. Malones contribution to the promotion of hill-walking in Ireland has been marked by the erection of a memorial stone in his honour which is situated on the Wicklow Way between Roundwood and Enniskerry. The way is traversable from North to South or South to North. At Ireland Ways we have opted to follow the way from South to North as it allows for a relatively gentler start over the first couple of days and it also allows you to celebrate your journey with a night in Dublin City Centre. Your walk will take you through the heart of the ‘Garden of Ireland’ over the course of 7 days. Along the way you will pass lakes, rivers, streams, forests of evergreens and ancient hardwoods. You will cross blanket bogs and stop off in picturesque towns and villages. The relics of thousands of years of human habitation can be seen along the way, amongst these are some of the most significant historical sites in Ireland. Starting in Clonegal, Co. Carlow the way meanders along low valleys before moving into forests and the foothills of the Wicklow Mountains around Shillelagh and Tinahely. The way will take you past the infamous ‘Dying Cow’ pub which is the perfect place for a refreshment after a day’s walking. By the time you get to the valley at Aghavannagh the real climbing will begin to kick in as you make your way over Slieve Mann before dropping into the Glenmalure valley. Just before you reach the crossroads at Glenmalure you will notice a large derelict stone building on the right. This is one of four former British army barracks which were built along this road, the R115, in the early 19th century. The road itself is better known as the ‘Military Road’ and was built in order to give the army access to the mountains which at the time were a safe haven for Irish rebels. The road runs practically the full length of the mountains as far as Dublin and is criss-crossed by the Wicklow Way in a number of places. 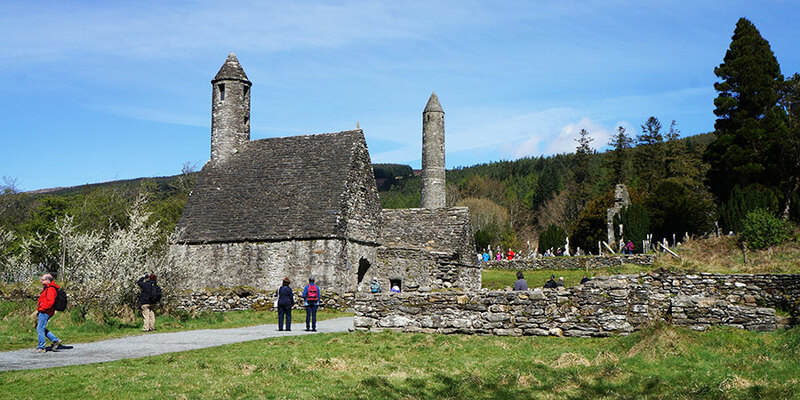 Glendalough is one of the most famous and important early medieval monastic sites in Ireland and contains a vast array of churches, high crosses and a round tower. All of this is set in one of the most beautiful locations in the country. From here the Way will offer stunning views over Lough Tay and Powerscourt Waterfall before you pass by Two-Rock Mountain which offers fantastic views over Dublin City. The final leg of the walk will take you downhill to Marlay Park which covers an area of 300 acres on the very edge of the city. Hi Margaret, we would definitely recommend enjoying even a half-day walk in Glendalough, there are many walking trails there for all levels. If you are driving it is definitely worth driving across the Wicklow Gap and going to see Lough Tay which is really picturesque. You can stop in the village of Enniskerry (and visit the Powerscourt Waterfall on your way). There are a few driving routes inspired by movies filmed in Wicklow, you can find the information here: http://visitwicklow.ie/item/wicklow-films-drives/#. We hope this helps! Let us know if you need anything else. Kind regards and enjoy your time in Ireland! We are starting in Kildare across to Glendlough staying in Laragh then booked into Wicklow town we need to head back towards Dublin any suggestions please. To get the most of our time in the county. July 11 12 13 14 th. Hi Kathleen, I will get one of our travel team to send you the itinerary for the Wicklow Way today. Have a great weekend. Kind regards, Lisa. Hi Kevin, thank you for your note. Our Customer Care team will send email you with all the details. Kind regards. Hi Dennis, thank you for your enquiry. Yes, there are places to stay all along the route. We would organise the accommodation, holiday pack and walking notes for you. The weather in Ireland in unpredictable but part of the charm. Any month from April – September are great months for walking. 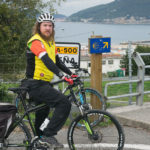 I will get our Travel Specialist to send you the full details of the this route. Kind regards, Lisa.